In our latest heart-rate monitor update, Polar continues to dominate, particularly when it comes to devices that use a more-accurate chest strap instead of a wrist-based sensor. Based on its sophisticated features and strong reviews, we've added the new Polar H10 to our section on Bluetooth heart-rate monitors, which already features the reliable Polar H7. If you want an accurate, versatile heart-rate monitor that has all the essential features at a reasonable price, it's hard to do better than the Polar FT7, reviewers say. This heart-rate monitor nails experts' accuracy tests, and users say it's comfortable to wear and easy to use. The wrist unit remembers and summarizes up to 99 workouts, and a Smart Calories feature estimates your calorie burn. The FT7 is also water-resistant up to 30 meters. 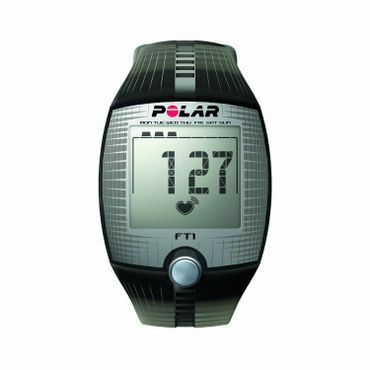 If you're solely focused on keeping your heart rate in a certain zone, the Polar FT1 can help you do that without adding unnecessary bells and whistles that increase the price tag. The FT1 has customizable heart-rate zones and alarms, and it gets excellent marks for accuracy in expert testing. Users say its one-button controls make it incredibly easy to use. The monitor also gets raves for comfort, and it's water-resistant up to 30 meters. Bluetooth heart-rate monitors can get pricey and complicated, but the Polar H7 is neither, reviewers say. Instead, this is an inexpensive wireless heart-rate monitor that reliably connects to most popular smartphones and other Bluetooth-enabled devices. It also gets top marks for accuracy in experts' tests. Reviewers say the H7's chest strap is comfortable, and the heart-rate monitor is easy to pair with their phones. Polar's two-year warranty also beats out the competition. While heart-rate monitors often rely on chest straps, many users say an armband monitor like the Scosche Rhythm+ is more comfortable and convenient. The Rhythm+ is worn on the forearm instead of the wrist, and reviewers say that makes it more accurate than many of its competitors. The Rhythm+ pairs reliably with Bluetooth devices as well as those that use ANT+, another wireless technology, and it supports a wide range of popular third-party apps. Aerobic exercise is an important part of any fitness routine. It strengthens the heart, improves circulation, and burns body fat. In order to maximize cardiovascular activity, most experts say you should monitor your heart rate to stay in your target zone: high enough to get a reasonable workout, but not so high that your heart is pumping dangerously fast. The American Heart Association says the ideal target zone for most people is between 50 percent and 85 percent of their maximum heart rate. On average, that's 220 beats per minute, minus your age. This is only a guideline, however, and the AHA notes that certain medications can lower a person's maximum heart rate. They suggest talking to a doctor to determine your appropriate target zone, especially if you're just starting out with an exercise program. A traditional heart-rate monitor consists of a chest strap and a wrist unit that resembles a watch. The chest strap includes a monitor that is placed at the solar plexus, just below the breastplate. This monitor wirelessly transmits a pulse reading to the wrist unit. The simplest heart-rate monitors read and display your heart rate. More advanced monitors can calculate calories expended during your workout and keep records to show a progression. Some heart-rate monitors come packed with additional features, such as pedometers that track daily steps, and some can upload workout results to a website that lets you see long-term workout trends and interact with other users. Advanced monitors may have smart training or "virtual trainer" capabilities, setting your workout for you based on your personal information and goals. Some manufacturers are starting to forgo chest straps in favor of wrist-based monitors that use LED lights to track how fast your blood is flowing. Also called optical heart-rate monitors, these devices have come under fire for being less accurate than chest straps. Expert tests have found they're fairly accurate when you're at rest or lightly active, but things can go downhill during high-intensity exercise -- especially interval training. Researchers recommend sticking with a chest strap if accuracy is your primary concern. Bluetooth heart-rate monitors connect via wireless Bluetooth technology to your smartphone or another Bluetooth-enabled device, such as a GPS watch. That's where you'll be able to see your heart rate and any other recorded data. Since many exercisers already carry smartphones during their workouts -- often to listen to music, or sometimes as a safety measure -- they prefer tracking their heart rate this way. These heart-rate monitors are often compatible with a range of apps, seamlessly syncing your workout information and saving you the trouble of manually tracking your data. Heart-rate monitors vs. fitness trackers: What's the difference? If you're a more casual exerciser who is concerned about tracking data such as your step counts, calories burned, and sleep quality, you may want to forgo the more serious heart-rate monitors reviewed here in favor of a fitness tracker. While some fitness trackers do have heart-rate monitors (typically the slightly less-reliable wrist monitors mentioned above), the focus is more on overall wellness and less on closely tracking your heart rate to stay within a certain zone. Our report on fitness trackers can help you choose the best model for you. And if you want to add some exercise equipment to stay on track during home-based workouts, check out our reports on treadmills, exercise bikes and elliptical trainers. Heart-rate monitors are largely being supplanted by fitness trackers meant for all-day wear as well as smart watches with fitness components. Still, there are a handful of quality sources detailing heart-rate monitor performance, ease of use and durability. Expert tests include those conducted by ConsumerReports.org, TomsGuide.com and CNET.com (though many of those tests also include fitness trackers). Also helpful are in-depth reviews from sites such as CNET, Wareable.com and PCMag.com as well as users' real-world reviews at Amazon.com, REI.com and BestBuy.com. We analyzed information from all of these sources to make our recommendations for the best heart-rate monitors and the best Bluetooth heart-rate monitors. 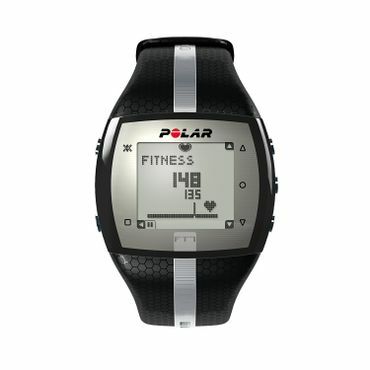 Reviewers say the Polar FT7 (Est. $75) is packed with enough features to satisfy most casual exercisers, but not so many that they inflate the reasonable price. They say the wrist unit is lightweight and versatile enough for most sports, including swimming. There are several colors to choose from, including black, purple and blue. The FT7 nails experts' accuracy tests, notching top marks in tests that pitted it against an electrocardiograph. Extras include a Smart Calories feature, which calculates calories burned during your workout based on data such as weight, height, age, gender and activity level. EnergyPointer confirms whether your workout is burning calories or improving fitness. The FT7 can remember and summarize up to 99 workouts. 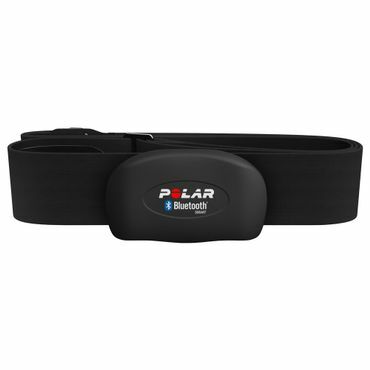 It can also upload workout data to your computer and access the PolarPersonalTrainer.com site, but that requires the purchase of the optional Polar Flowlink adapter (Est. $50). The wrist unit doubles as a watch that displays date and time; it also has an alarm and snooze feature. Reviewers say the FT7 wrist unit and chest strap are comfortable and simple to use for a variety of sports and activities. The FT7 is water-resistant for up to 30 meters and can be used for swimming. Unlike on some heart-rate monitors, users can replace batteries themselves, and Polar says the batteries should last up to 11 months assuming usage of one hour a day. Users appreciate the large display, which also has a backlight, but some say it's too dim if you're working out in anything other than bright, direct light. This is a particular complaint with the black and red model, which displays light-colored stats on a dark screen. Others say the small buttons can be hard to push. Most users say the FT7 is durable, with many reporting years of trouble-free use. Some report troubles with the chest-strap data transmitter, however. Polar backs the FT7 with a limited two-year warranty. If you're a beginning runner who wants to keep tabs on your heart rate, reviewers say the Garmin Forerunner 15 (Est. $70) is an excellent blend of value and features. There are several versions of the Forerunner loaded with more bells and whistles for elite runners, but they can also cost several times the price. The Forerunner 15 is available in two sizes, large and small, and in several colors including black, red, teal and purple. The Forerunner 15 pairs with a chest strap heart-rate monitor, but can also be bought without it. 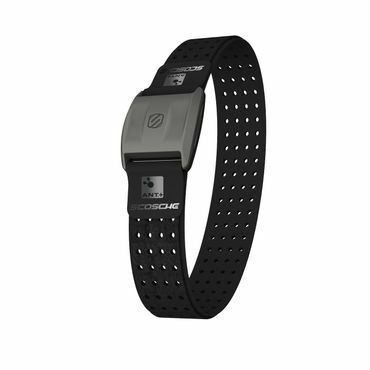 Reviewers say the heart-rate monitoring seems accurate, and the included GPS means runners can be confident that the distances tracked are reliable as well. Aside from heart rate, the Forerunner 15 tracks everything runners would expect, including time, distance, pace and laps. It also functions as an activity tracker by recording sleep quality, calorie burn and steps taken -- features the Polar FT7 doesn't have. It can remember only seven workouts, so if you want to track long-term trends, you'll have to be consistent about uploading workout data via the included USB cord to the Garmin Connect website. If you run indoors on a track or treadmill, you'll need the Garmin Foot Pod (Est. $50) to track distance and pace. Reviewers say the Forerunner 15 is comfortable and lightweight. Jill Duffy of PCMag.com calls it "extraordinarily easy to navigate," praise that other reviewers echo. They like the large buttons and backlit display, which they say is easy to read. The rechargeable lithium ion battery is supposed to last about five days with activity tracking or about eight hours if you're using GPS, but some runners say they only got about five hours with GPS on -- not enough for some marathoners. It is water-resistant up to 50 meters and can be worn while swimming, but note that there is no mode to track a swimming workout. Though most reviewers say the Forerunner 15 is durable, a handful say it stopped working within a few months. Garmin provides a limited one-year warranty. If you're just interested in tracking your heart rate and little else, reviewers say the basic Polar FT1 (Est. $50) delivers while keeping the price low. Despite the Polar FT1's low price tag, reviewers say accuracy is excellent. Just like its more expensive sibling, the FT7, the FT1 gets top marks in experts' accuracy tests that pitted it against an electrocardiograph. You won't find much of note in the features department, however. For instance, it doesn't track calories burned or have the memory to store and summarize more than your latest workout. However, the FT1 does have customizable target zones. That feature lets you set an intensity zone for your workout, and warns you with visual and audible alarms if your heart rate leaves that zone. The FT1 also uses Polar's OwnCode technology to cut down interference from other gear for more reliable communications between the chest strap and wrist unit. Reviewers say the FT1 wrist unit and chest strap are both comfortable to wear and simple to use for a variety of sports and activities. The FT1 is water-resistant for up to 30 meters and can be used for swimming. Users say the unit seems durable, the display is clear and the large numbers are easy to read. They also appreciate the simplicity of the one-button controls. However, batteries are not user-replaceable. This is covered during the FT1's two-year warranty period, but when it's out of warranty, many reviewers say it's simply not worth replacing the batteries once you factor in shipping.